BAAR, Switzerland, Oct. 23, 2012 – Veeam Software, innovative provider of backup, replication and virtualization management solutions for VMware vSphere and Windows Server Hyper-V, congratulate its customers, Tiger Wheel & Tyre and Catalent Pharma Solutions, for being named Best of VMworld Europe 2012 award winners , hosted by TechTarget. Tiger Wheel & Tyre: Won “Best virtualization and server consolidation project” as well as overall “Best of Show. The company, based in Johannesburg, South Africa was an early adopter of virtualization. In 2007, the IT team decided that virtualization would be the ideal facilitator for two important components of its business: daily operations and research and development. The company understood that it only takes one disaster or a scare to re-evaluate its backup and recovery strategy. They had checked off all the governance boxes but were faced with a potential recovery scenario and had no visibility of the time it would take to recover or the reliability of our recovery given the “old” conventional backup tapes. They searched for a solution and found Veeam Backup &Replication, giving them that ability to recover full server environments in a matter of minutes with 100 percent success rate. Catalent Pharma Solutions: Won “Best virtualization for disaster recovery project” at VMworld Europe for its use of VMware vSphere 4.1 and Veeam Backup & Replication. The company has 25+ sites worldwide and more than 10,000 employees. Its facility in Swindon, UK, houses a large number of file, application and database servers and was the first site to undergo the virtualization process. The goal was to protect critical data and business processes in a worst-case scenario. The company experienced three worst-case scenarios—an earthquake, a tsunami and a fire and with the help of Veeam, the disasters had almost no effect on business operations. In March 2011, a fire damaged servers at the Corby site, which contained six mission-critical VMs running applications related to inventory, production and shipping.The fire could have caused a complete interruption of services to the business, but it didn’t because Veeam was in place. It would have taken at least a week to recover the servers and restore files with a physical backup solution. 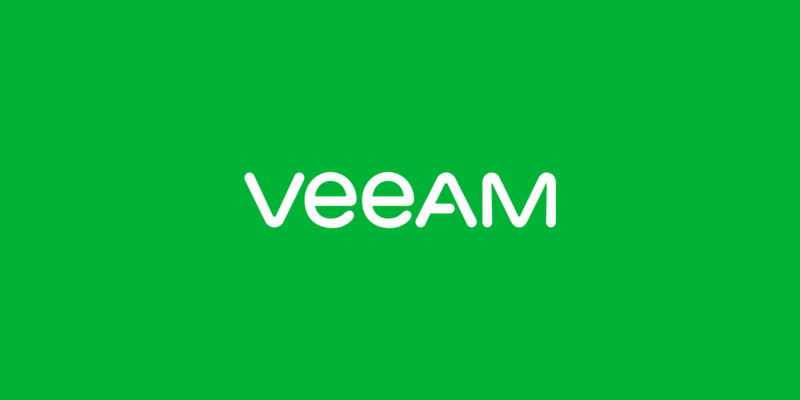 With Veeam, VM recovery took hours instead of days, reducing recovery time by 95 percent and enabling the company to resume the packaging process quickly at other sites. Veeam also saved the day in Japan. Prior to the fire in the UK, the IT team had to respond to a natural disaster that was the result of repercussions from an earthquake and tsunami at two of the sites. Long-term power outages due to flooding threatened one of the offices, so to protect VMs the team replicated between the two sites with Veeam. This disaster recovery initiative was so successful that it was extended replication globally.